Geographic segmentation helps Shopify merchants segment their target audience for marketing campaigns based on location. 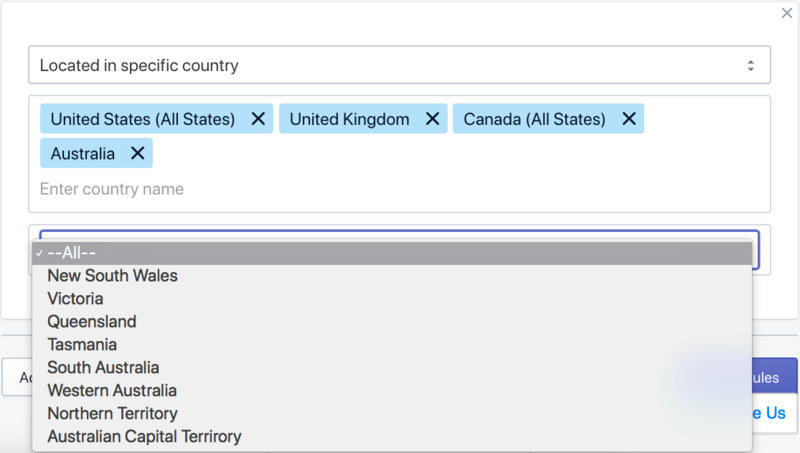 Example approach 1: You can build segments that are broad including a single or multiple countries and regions. Example approach 2: Or, you can choose to go narrow and use proximity segmentation for Zip codes in different countries. This way you can target specific parts of the cities you want. SMSBump Segments let you build however broad or narrow audiences you want and anything in between. We already told you about customer behavior segments and customer attributes, so today you’ll learn how to use location and proximity segments to personalize your SMS marketing campaigns based on where your customers live. For example, if you’re selling winter equipment you might want to focus on northern states, instead of customers from Texas or Florida. 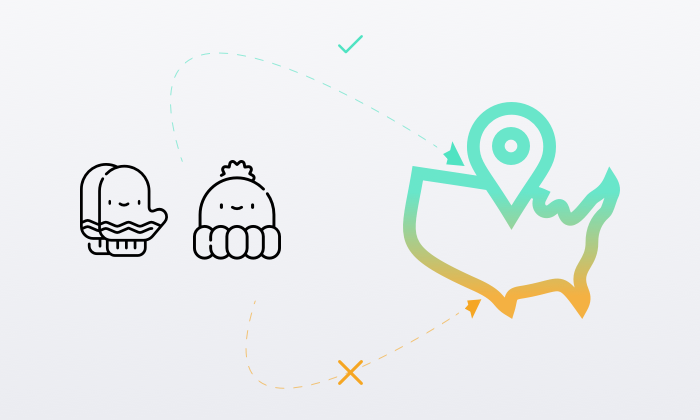 Let’s show you the geo-based segment rules you can apply in SMSBump to build audiences from different locations or refine existing segments. Important: You can build segments using just a single segment rule or be more specific and combine segment rules to narrow down your audience further. Customers who are located in countries and states of your choice. This is how you build a segment that consists of customers that are located in a specific country or state. Say you’re building an SMS marketing campaign in multiple languages. This is your way to direct those messages to the correct recipients based on the countries you want to target. Maybe you’re building your SMS marketing audience on product interests? In that case, you can amplify that by targeting the appropriate states that are most likely to purchase from you. Customers within the European Union where GDPR rules apply. We decided to add the “Located in EU” segment rule for Shopify merchants due to GDPR compliance considerations. In case your store is fully compliant with GDPR regulations, you can go ahead and target countries within the European Union. Customers from all over the world except the European Union. Use this segment rule in case you want to filter out any possible risks of reaching EU customers without being 100% GDPR compliant. This segment rule will remove any Shopify customers who are located inside the EU from your target audience. Customers who live within a given radius of an area specified by you. Choose your target country, the zip code you’re interested in, the radius distance and SMSBump will find all the relevant customers in your Shopify store. Get more local with the Proximity segment rule and target your SMS marketing campaigns for exclusive promotions and products. You can combine your Proximity segments with customer behavior segments and prepare truly personalized SMS strategies to boost your sales while keeping costs low. Gain more from less! It’s up to you. The Location-based segments in SMSBump let you make your SMS campaigns more personalized for the audience that receives them. Increase your revenue by sending the most relevant messages to the right customers.